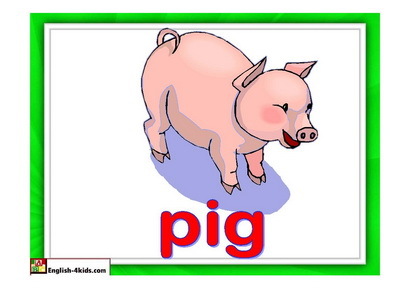 These flashcards will help in teaching farm animal vocabulary - sheep, dog, cat etc.They will help in teaching and practising new vocabulary. Flashcards also play a tremendous role in all language teachers' classrooms across the world. 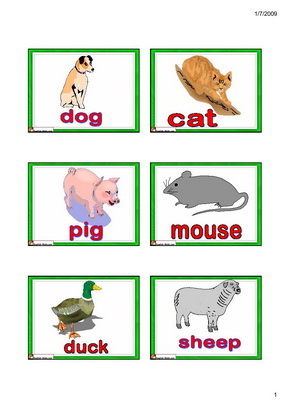 Our flashcards are in PDF printer-friendly format. The flashcards come in two varieties - Small-sized and Big-sized flashcards. Click on the PDF icons below to choose the type of sizes you want. Please save us bandwidth - Do not download what you don't need. If you do not have acrobat reader installed, you can download a free copy here.